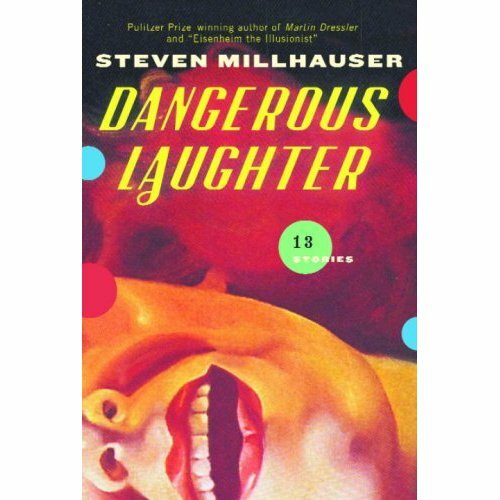 Jeffrey Ford lent me “Dangerous Laughter” by Steven Millhauser to expand my horizons and hopefully improve my writing. Millhauser does write wonderfully but o far most of the stories in this book are not my cup of tea. At first I was like ‘what the hell?’ It seemed like a Tom and Jerry rehash at first but it came together quite nicely. I actually liked this one. Never thought a deeper meaning could be applied to a cartoon. Didn’t care too much for this one. It ended with a fizzle for me. Loved this one. Very nice build up and well crafted characters. I thought the ending was great. This was a cool idea that actually lit a spark in me which led to my writing a story of my own. However, I didn’t care to much for the execution of this story and there was a lot of repetition of the laughing which grew old quick for me. The story had some nice metaphor but the main idea led nowhere for me. I got it but didn’t care too much. I know, I know these reviews are vague with close to zero detail but I do not want to ruin the stories for anyone who may want to read them. I have a few more to go so my overall opinion of the book may change. I can see why this book was recommended to me. It is thought provoking and extremely well written but it’s just not for me so far in regards to action and pacing. Have you read Millhauser? What do you think?